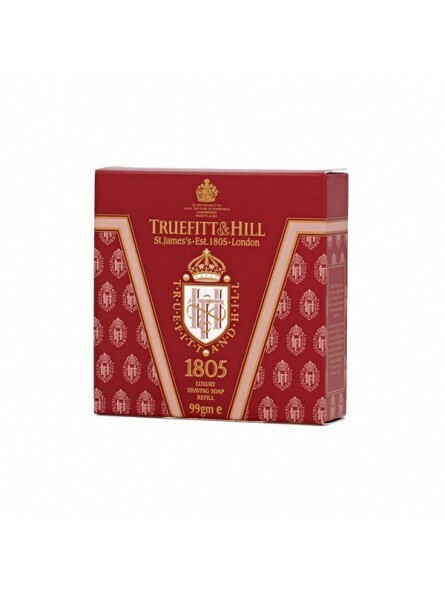 Truefitt & Hill 1805 Shaving Soap Refill 99gr. A fresh oceanic fragrance with top notes of Bergamot, Mandarin and Cardamom, combined with a Lavender, Geranium and Clary Sage heart resting on a Sandalwood, Cedar Wood and Musk base. 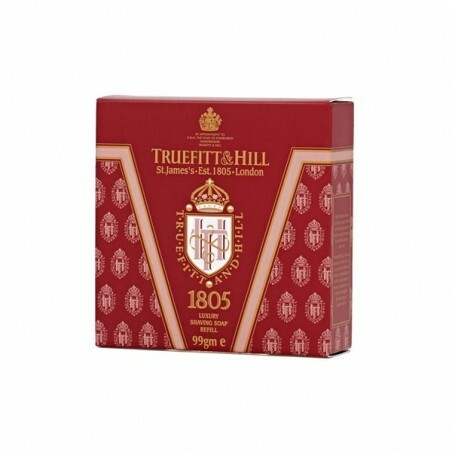 Provides a perfect and smooth shave thanks to its rich and creamy lather.